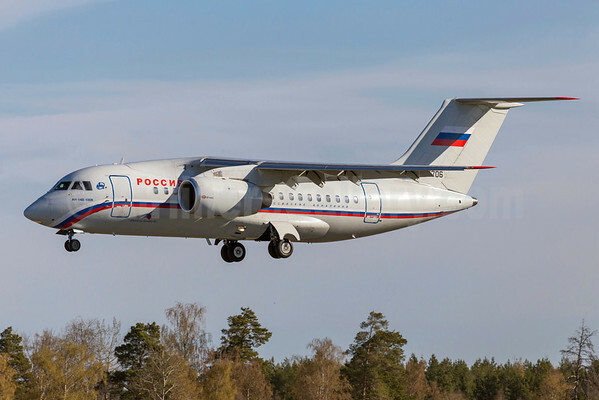 Rossiya Russian Airlines (subsidiary of Aeroflot Russian Airlines) (St. Petersburg) has suspended the operation of its relatively new six Antonov An-148s from scheduled passenger operations. The new type is more expensive to operate according to ch-aviation quoting company officials. The An-148 is built in the Ukraine. Per Airline Route, the airline operated its last scheduled flight on April 9 from Krasnodar to St. Petersburg. The type was introduced on February 2, 2010 from St. Petersburg to Moscow (Vnukovo). Copyright Photo: Stefan Sjogren/AirlinersGallery.com. Antonov An-148-100B RA-61706 (msn 27015040006) prepares to land at Stockholm (Arlanda). This entry was posted in Rossiya Russian Airlines and tagged 27015040006, AN-148, An-148-100B, Antonov, Antonov An-148, RA-61706, Rossiya Airlines, Rossiya Russian Airlines, st petersburg on April 16, 2015 by Bruce Drum. From March 30, 2014 all flights operated by Rossiya Airlines will be designated by Aeroflot’s IATA code (SU), and the code of Rossiya Airlines (FV) will cease to be used. The assumption of commercial control marks a key step toward the full integration of Rossiya into Aeroflot Group, and is expected to generate additional revenues through the sale of flights operated by Aeroflot subsidiaries through the Group’s more than 200 interline e-ticket agreements, further strengthening Aeroflot’s financial position. 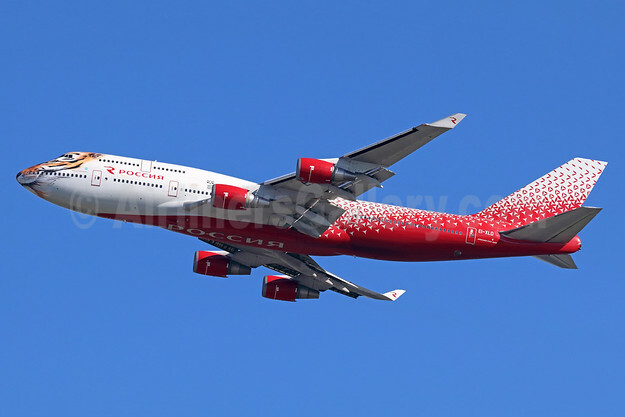 Rossiya was established in 1992 and was previously owned by the Russian government as a state airline. It is unclear at this time if Rossiya will remain a separate airline under the Aeroflot Group or it will be integrated at some point into Aeroflot Russian Airlines. Copyright Photo: Ton Jochems/AirlinersGallery.com. 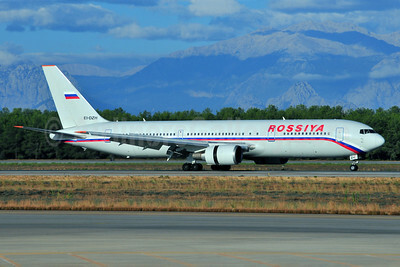 Rossiya’s Boeing 767-3Q8 EI-DZH (msn 29390) arrives at the popular resort of Antalya, Turkey. This entry was posted in Aeroflot Group, Aeroflot Russian Airlines, Rossiya Russian Airlines and tagged 29390, 767, 767-300, 767-3Q8, Aeroflot Group, Aeroflot Russian Airlines, Antalya, AYT, Boeing, Boeing 767, Boeing 767-300, EI-DZH, Rossiya Airlines, Rossiya Russian Airlines on January 15, 2014 by Bruce Drum. Rossiya Russian Airlines (St. Petersburg) in April retired its last Boeing 737-500. Copyright Photo: Stefan Sjogren. Boeing 737-548 EI-CDD (msn 24989) in the Pulkovo colors prepares to land at Stockholm (Arlanda). This entry was posted in Rossiya Russian Airlines and tagged 24989, 737, 737500, 737548, Arlanda, ARN, Boeing, Boeing 737, Boeing 737500, EICDD, Rossiya, Rossiya Russian Airlines, st petersburg, Stockholm on May 9, 2013 by Bruce Drum. 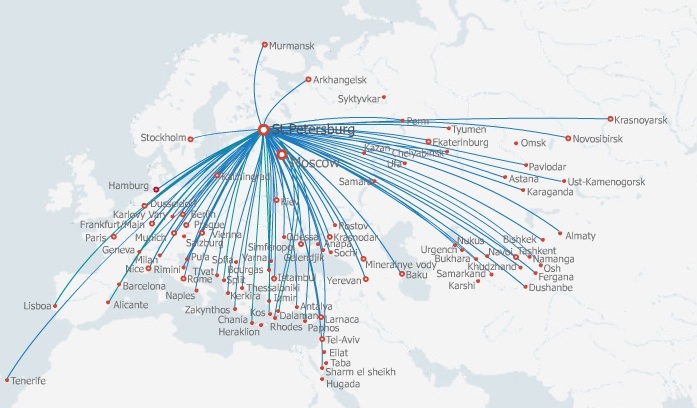 Rossiya Russian Airlines (St. Petersburg) will start a new route from St. Petersburg (Pulkovo) to Kazan on May 1. 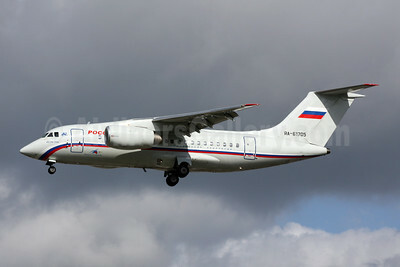 The new route will be operated five days a week with new Antonov An-148s per Airline Route. This entry was posted in Rossiya Russian Airlines and tagged Rossiya Russian Airlines on April 3, 2012 by Bruce Drum. Is Aeroflot headed back to being the world’s largest airline again? 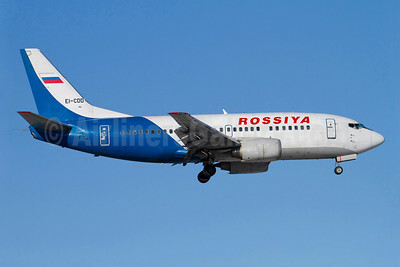 Rosavia (Moscow) will not fly as Russia’s second big state airline according to Reuters. The Russian government reversed its previous policy and announced today (February 2) that six airlines which were to due to be merged under the Rosavia name will be privatised this year in order for the assets to be merged into Aeroflot Russian Airlines (Moscow). 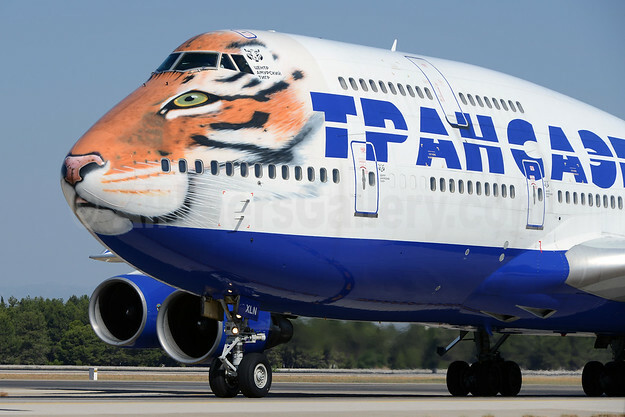 The government previously wanted to combine bankrupt state aviation assets under the state corporation Russian Technologies and set up a new subsidiary named Rosavia to merge six state airlines, namely Rossiya Russian Airlines, KMV Avia (Kavminvodyavia), Vladivostok Air (Vladivostock Avia), Orenair (Orenburg Airlines), Saratov Airlines and SAT Airlines (Sakhalinskie Aviatrassy) (Sakhalin Airlines) under the Rosavia name and compete against Aeroflot. These airlines are now expected to become history. Is Aeroflot headed back to its Soviet size where it was once the world’s largest airline? This entry was posted in Aeroflot Russian Airlines, KMV Avia, Rosavia, Saratov Airlines, SAT Airlines, Vladivostok Air and tagged Aeroflot Russian Airlines, KMV Avia, Orenair, Rosavia, Rossiya Russian Airlines, Saratov Airlines, SAT Airlines, Vladivostok Air on February 2, 2010 by Bruce Drum.